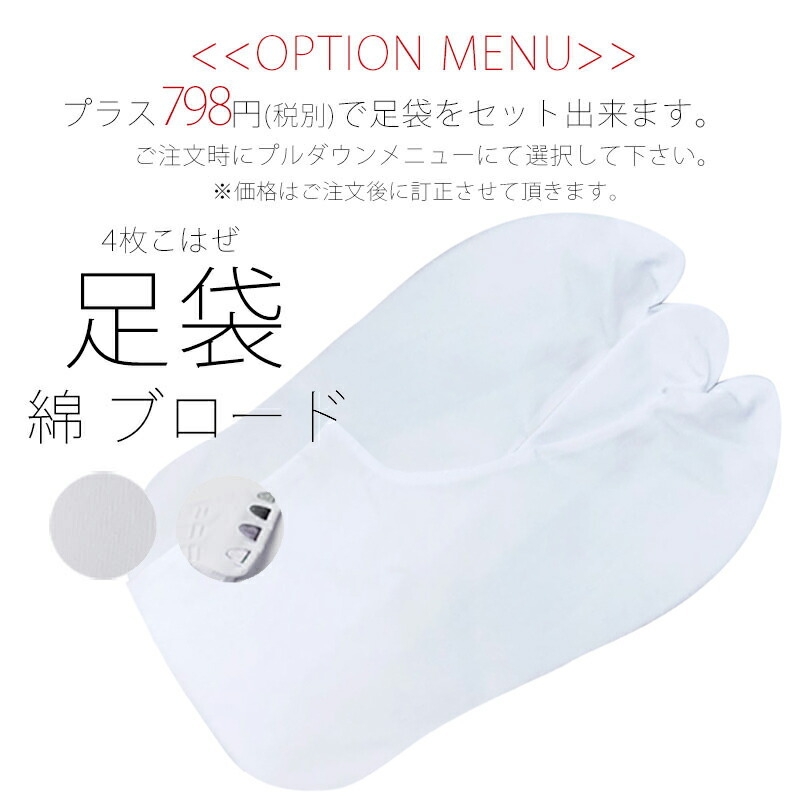 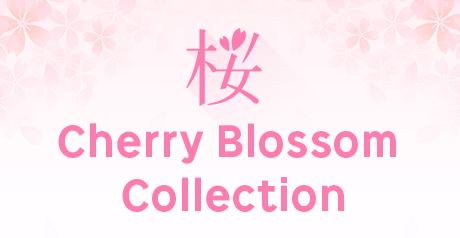 It is the sandals bag set for the long-sleeved kimono using グリッダー. 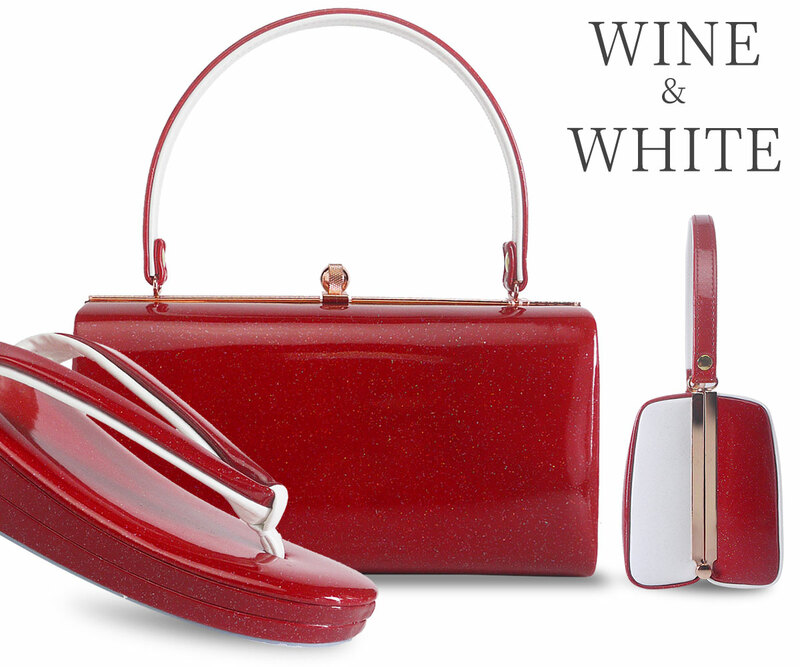 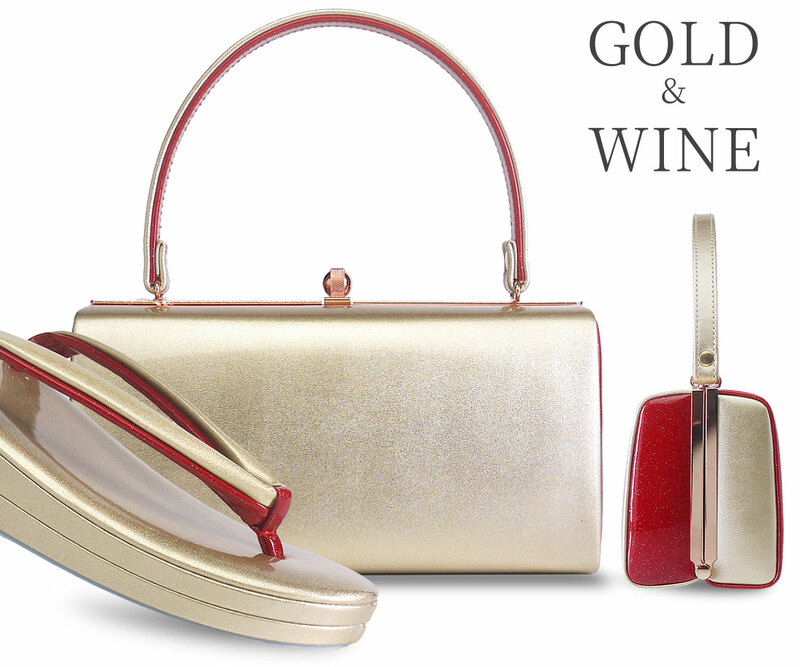 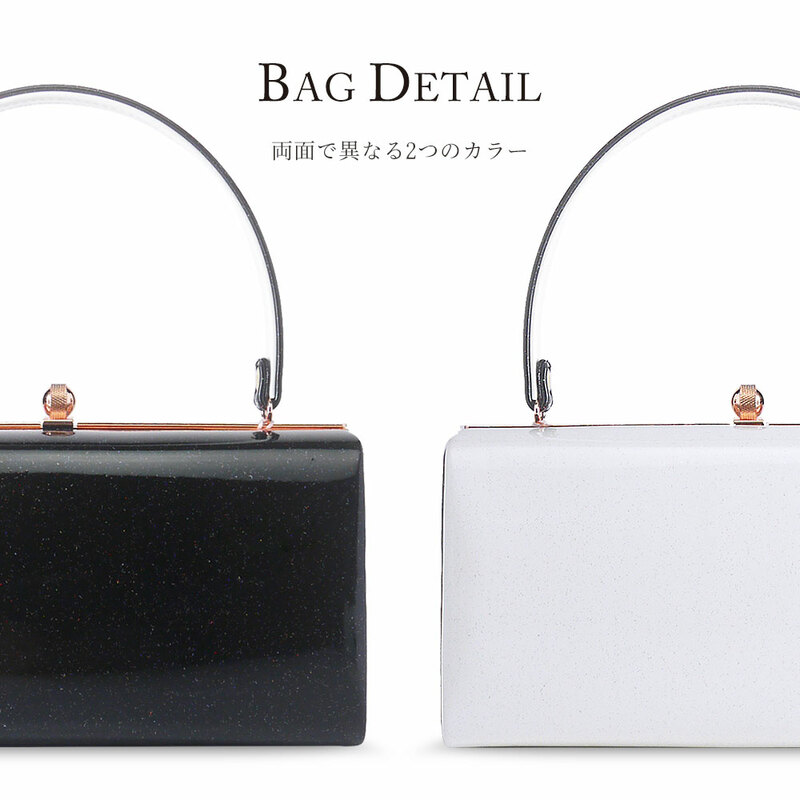 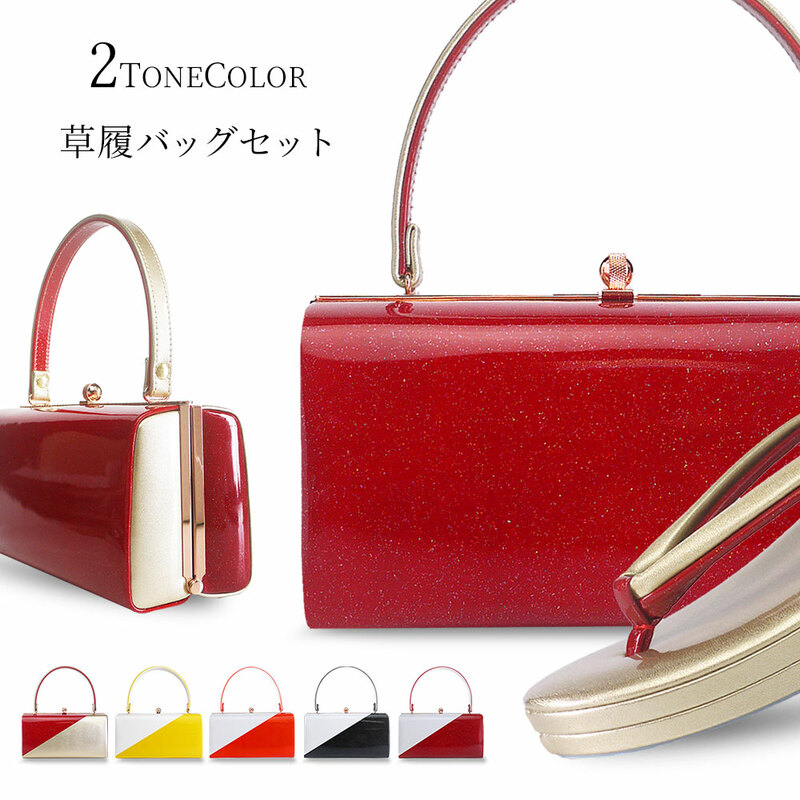 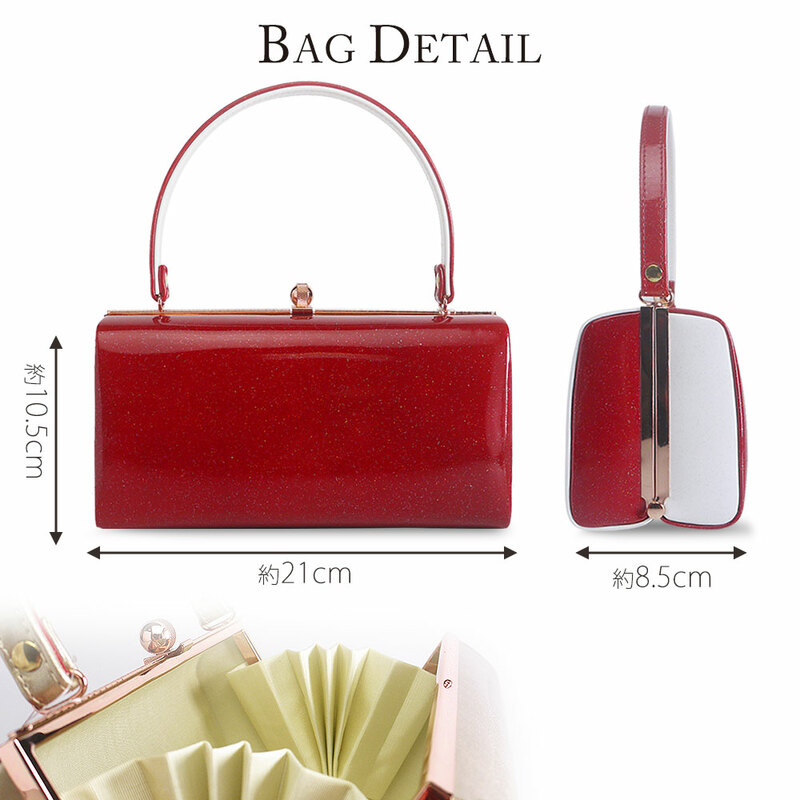 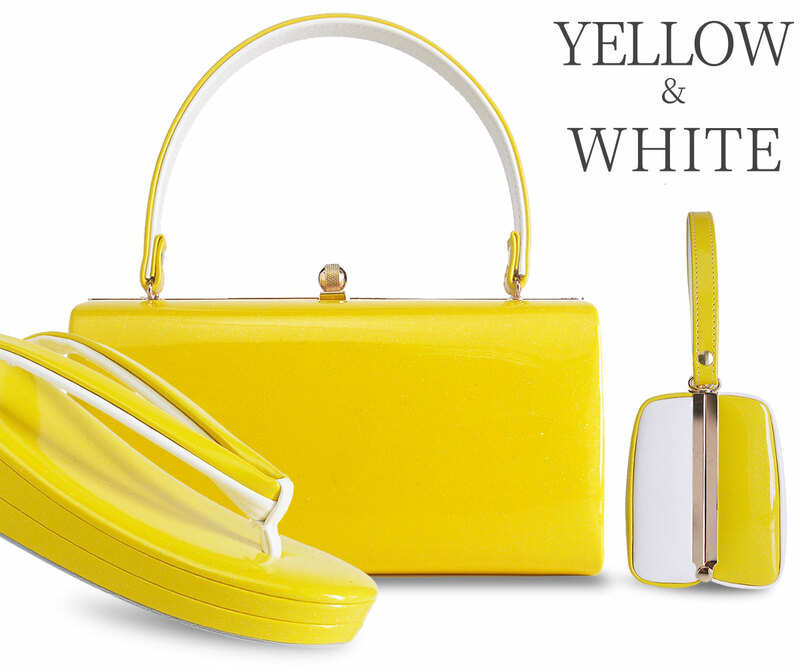 A two-tone enamel bag with two expressions. 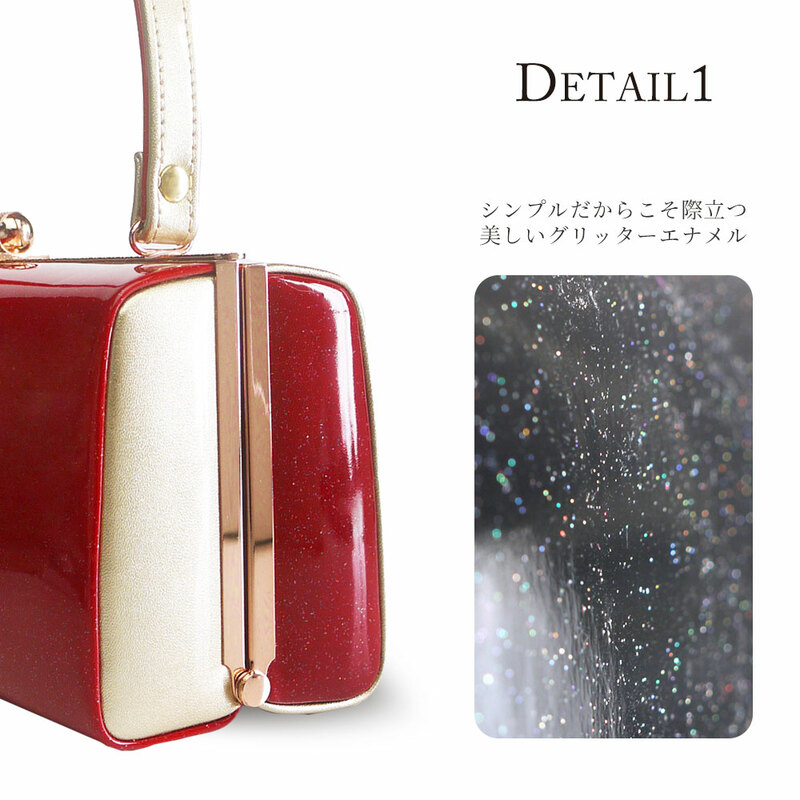 Metal fittings and the glitter which changed color slightly enhance activeness. 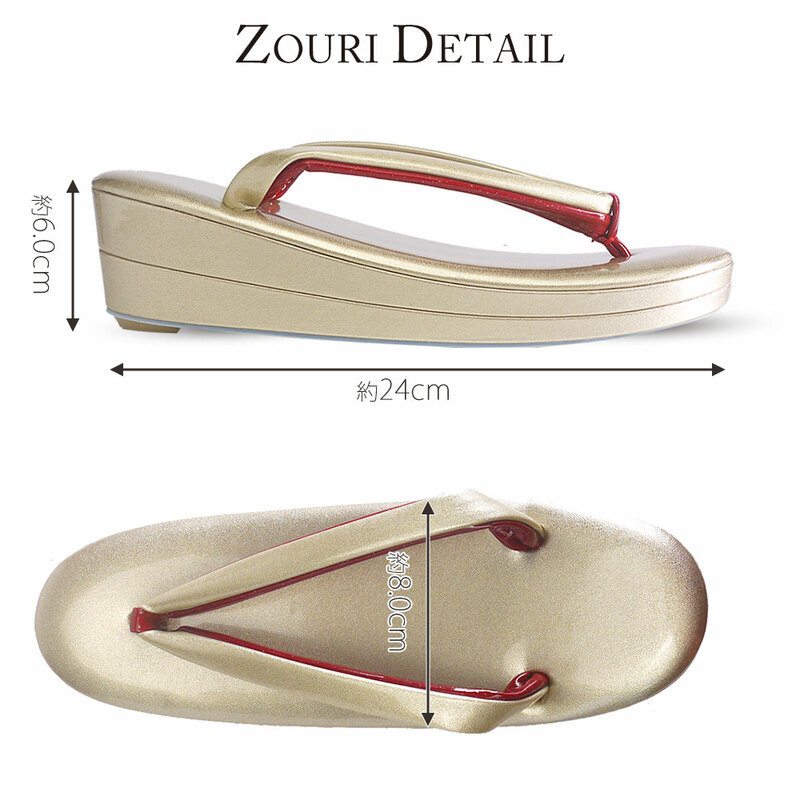 The sandals are sewed in two pieces of consecutive cores carefully in detail. 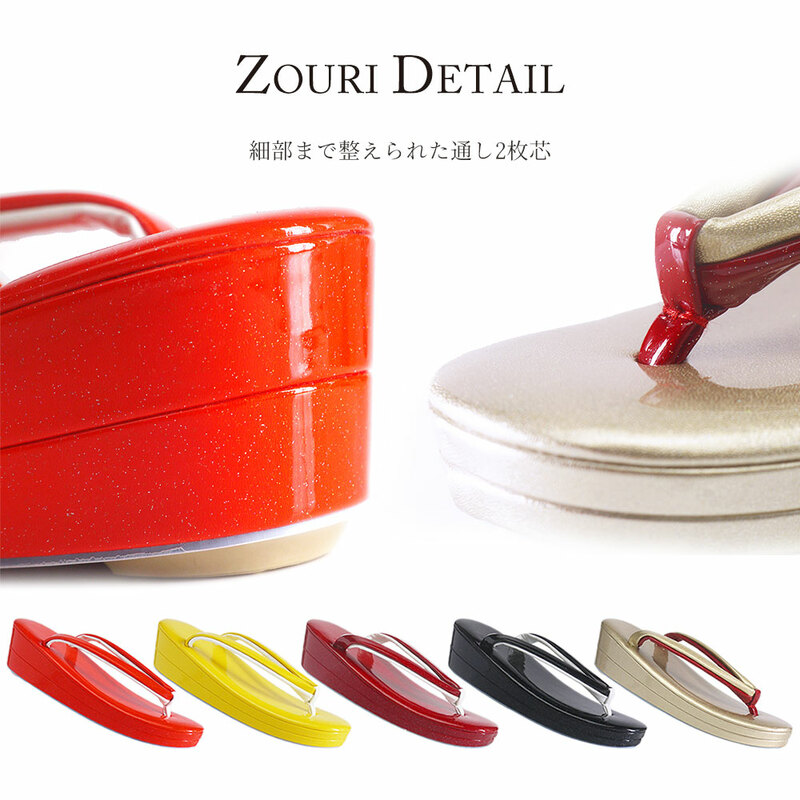 In spite of being refined Shin pull, it is sandals bag balancing activeness.